Gold Canyon Golf Club is one of the most amazing golf courses in Arizona because of the dramatic panoramic views of the Arizona desert. 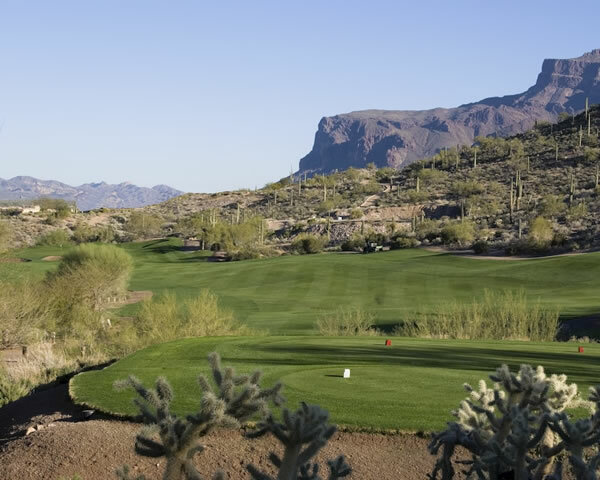 Offering 36 holes of golf along with a full service Arizona golf resort, this is the perfect relaxation getaway located 45 minutes away from the city. Dinosaur Mountain is the grander of the two golf courses. Top rated in many magazines, Dinosaur Mountain is famous for its 150 feet elevation changes, views of Superstition Mountains, and rough volcanic desert vegetation. The fairways are generous off the tee box but beware afterwards of the thick dense desert that lines the fairways. This course is perfect for the low handicapper or those who want to see some amazing scenery while playing a well conditioned course. Sidewinder is much more of a resort golf course. 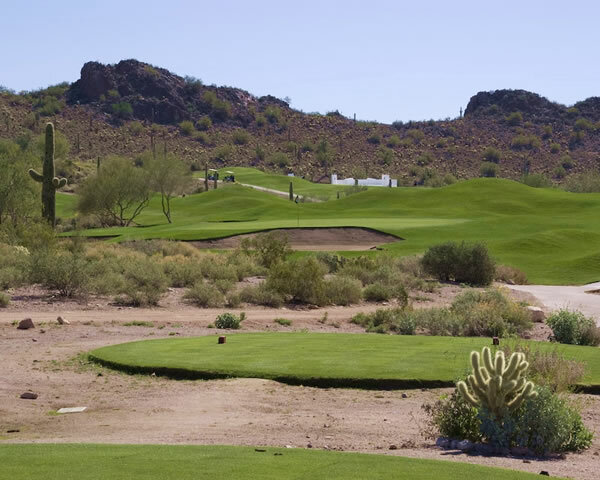 A mix of desert and traditional terrain make Sidewinder a favorite amongst golfers who like strategic play. The fairways play narrow off the tee making this more of a target style course. Mapping out your game would be a welcomed idea when playing this course. The elevation changes are more subtle on Sidewinder; however, the scenery is top notch. From Phoenix Sky Harbor: Follow the airport signs to the Loop 202 E. towards Tempe. Merge onto Loop 202 E. and continue 3.7 miles. Merge onto Loop 101 S. and continue 2 miles. Merge onto US 60 toward Globe via exit # 55 and continue 26.4 miles. Turn left onto S. Kings Ranch Rd. and follow signs to course.